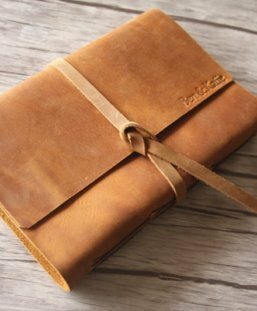 Handmade leather journal is perfect place for writing all of your thoughts, ideas, dreams. It will get you through your most important meetings, travels and conference in style if you get it personalized. Handcrafted by FlixGifts craftsmen in our studio using traditional methods and they will last for generations. 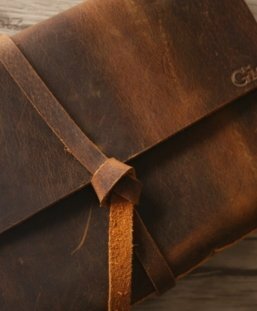 All the leather journal we craft is artisan-made using the top grade Italian and US sourced full-grain leather and acid free paper. We hope that yours will become your best partner on your travels to document your journeys. 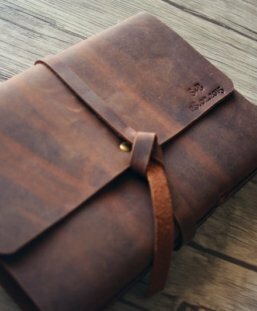 A custom personalized embossing or engraving is available on all of our refillable leather journals. When you add your name, date, or unique words, you create the ultimate thoughtful words. Either for that special someone or for yourself. 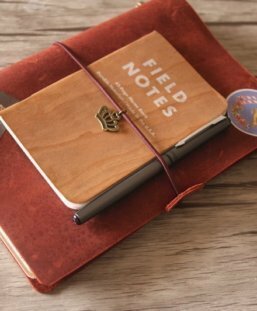 A useful and unique leather journal gifts featuring your company’s logo will extend your brand for years. 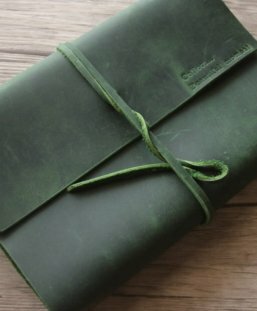 Every personalized journal sketchbook is from FlixGifts flexible studio by traditional craft techniques. Till now, we have cooperated with several companies. 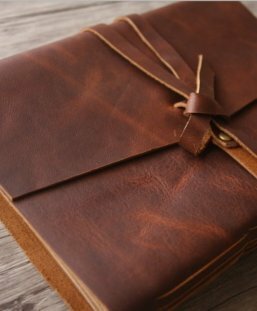 We hope every journal from FlixGifts is your best writing friends. Really a perfect leather gifts for someone. 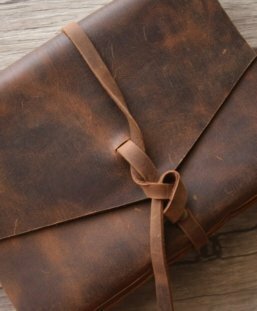 Our team offers multi size of leather journals to meet your needs. Some of the size is for daily use, such as A5 paper size (21*14.8 cm). 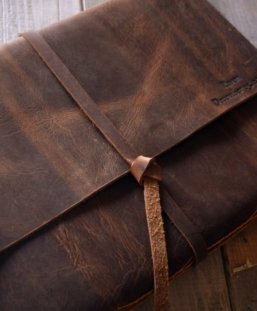 Our craftsman fix the paper with removable string binding which makes it easy to replace with new paper once used. 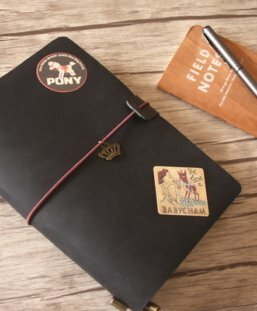 we also can get your leather journal personalized, and imprint with your names, unique words to someone, a special date, or a logo. 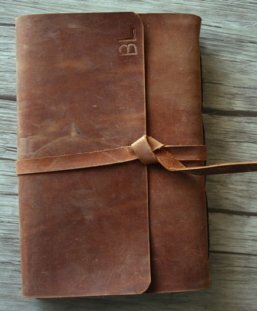 This step makes your journal just belongs to yourself. 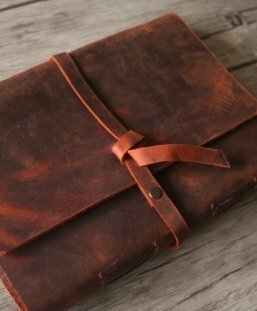 To be frankly, it is the best leather gifts ideas. If you emboss your words to someone! 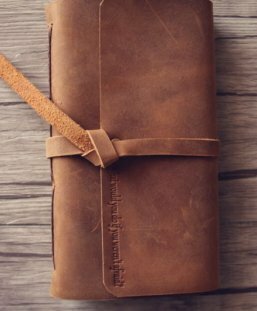 The journal will also make a sense of leather gift for friends on Birthday, wife and husband Anniversary, Valentine’s Day gift, Christmas, and work retreat etc. 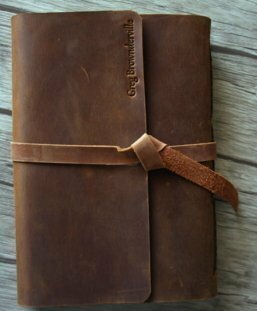 Ideal for daily notes, everyday diary and sketchbook. 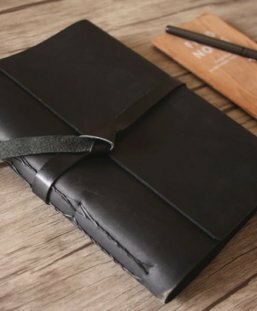 the leather journal is made from 100% top layer of cowhide leather and super long lasting durability. It becomes more beautiful as time passes. Leather Weight and Thickness: 5 to 6 oz / 1.7 – 2.2 mm. 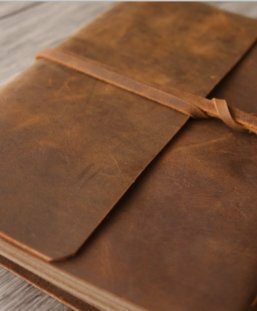 The personalized leather has 1.8 inches spine to give the leather traveler’s notebook more stability. Because it is intended for lots of inserts, it can hold up to 6 standard replace books. Further, FlixGifts men added two bookmarks sewn in its spine. 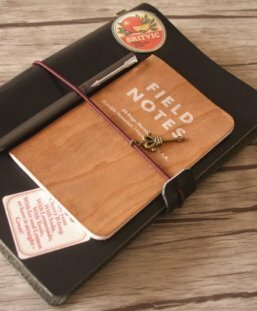 we use many closure for the leather journal lock such as leather string, button, ball button……. Note: Due to different monitor, colors might vary from how displaying on your side. Please keep in mind the slight differences due to the monitor and different leather batches. Allow flixgifts craftsmen 2-5 days to make your order depending on stock level. If you have any questions with your order please contact [email protected] with your order number. 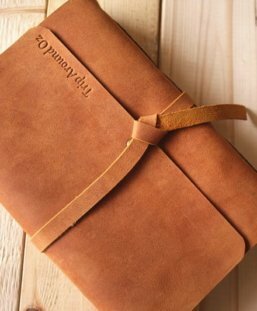 Photo is of the actual journal you will receive. we do not PS the photo and do our best to keep the journal as actual as possible. 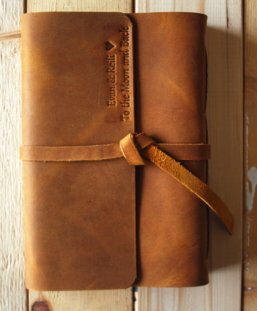 Some of our journal are ready to ship except personalized orders. 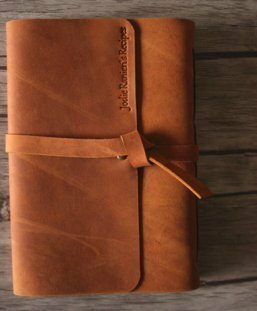 I ship this journal priority mail via USPS. We accept defective item return for exchange or get the full refund. All the return items must be same as the original including packaging, accessories. 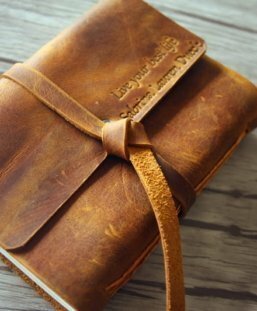 All the leather journal personalized with your names, logos. We have the right to reject the return. Not satisfy at this situation, please contact us to reach an agreement.